Leave other lightweight eCommerce platforms behind with an advanced, scalable solution built to optimize the online shopping experience and provide powerful integration between eCommerce and brand content. Convert more customers with Web Cube Mobile Responsive, designed to deliver an optimized shopping experience on every device. Web Cube automatically resizes your website content for screen sizes from large desktop to mobile phone, so that you can easily manage all your content from just one platform. Create a network of affiliates and provide commissions for referring purchasers to your site. Web Cube’s comprehensive Affiliate Program allows affiliates to register, manage banners and ads, and check their commission levels. The Web Cube Affiliate Program also offers an automated payout process through PayPal. Tax rules are complex and always changing. Web Cube has partnered with Avalara for advanced tax management, with an AvaTax integration that manages tax rates, regions, and the ever changing tax landscape so that you are always in compliance. You can also reduce the overhead on your accounting department for managing taxes related to eCommerce Orders. Web Cube’s advanced inventory management gives you the power to configure your store to match the needs of your business. With low inventory, out of stock and return to stock notifications, back ordering capability, and automated configurations available for handling inventory control, the system can be easily configured to match your inventory needs. You can also use the Web Cube API or pre-built middleware to integrate to your ERP system so that your Web store inventory is updated in real time. Incentivize your customers to continue shopping at your store with Web Cube’s advanced store credit system. Web Cube allows your users to earn store credit through promotions and marketing campaigns, and can also be used with customer service for returns. Web Cube also empowers you to run social media promotions and monetize your social networks through Refer-A-Friend Rewards, offering store credit to users for friend referrals that result in a purchase. That’s all ready to go, right out of the box. Offer volume discounts to users that are purchasing large quantities of product, such as wholesalers, dealers, and distributors. Gone are the days of uploading one product at a time to your online store. Web Cube’s easy bulk upload tool reduces the time spent uploading and merchandising products and allows you to launch new collections quickly and effectively. Service your retail and wholesale customers through one online store with Web Cube’s Wholesale Tiered Pricing, allowing you to assign multiple price levels per product SKU. Wholesalers can login on your site to view and purchase products at the customized wholesale pricing level. Optimize your online store for conversions with Web Cube’s powerful merchandising tools. Quick Shop links display a mini product summary with size and color options, allowing customers to shop and easily add products to their cart from any product category page without the need to click into the product detail page itself. Increase sales and enhance your customers’ shopping experience with Web Cube’s product groups feature, allowing you to create product kits for customers to purchase multiple, grouped products at once. Web Cube also enables you to configure multiple products with different size and color options on the same product detail pages, so that customers can shop for multiple piece products like bikinis. Enhance your store’s user experience and expose customers to the products they are most interested in. Web Cube allows you to tag products into related groupings, which will display lists of related products on every product detail page. Enhance your product merchandising with videos, using Web Cube’s Product Videos feature to post videos on product pages or embed them into the product views carousel through YouTube or Vimeo. Web Cube’s product pages can hold any number of embedded product videos. Each video includes Email to a Friend, an embed link, and full screen options to help showcase your products. Color Swatches let your customers see each of the available colors for a given product. 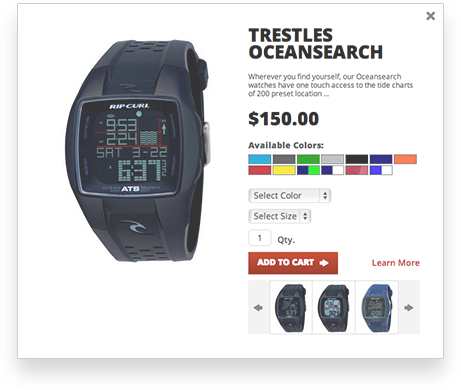 With Web Cube, your customers will easily view Color Swatches on both the product category pages and product detail pages. Enable your biggest fans to endorse your brand with product reviews on each product detail page. Customers can quickly write reviews and offer personalized ratings. Web Cube’s built in administrative approval process gives you the control to approve all product reviews before they go live on your site. Web Cube displays Recently Viewed products and product categories on the bottom of your store pages, allowing your customers to easily navigate back to their recently viewed items and collections. Increase conversions with Web Cube’s Accelerator Checkout, the streamlined and secure one-page checkout that makes online shopping intuitive and effortless for your customers. Accelerator Checkout is customizable to accommodate for custom workflows, and is built on best practices for reducing shopping cart abandonment including real-time shipping quotes, persistent cart, guest checkout options, mini cart summary, security verification, and CCV number assistance. Web Cube User Accounts allow you to set up custom features only accessible with an account, such as special promotions and free downloads. Web Cube also expedites the checkout process for your users by pre-populating the checkout fields with the user’s billing, shipping, and credit card information. User Accounts are not required to order online and your customers may still place orders without creating an account through Web Cube’s guest checkout option. Offer customers a quick and effortless shopping experience that will entice them to shop at your online store again and again. When returning customers login to their user account, Web Cube automatically pre-populates the checkout page with their credit card information. You must be using a Web Cube payment gateway partner that supports Credit Card Store to use this feature. Shipping cost uncertainty shouldn’t dissuade your customers from completing checkout. Web Cube’s Accelerator Checkout offers your customers real-time shipping quotes for UPS, USPS, and FedEx based on shipping address. Web Cube’s CMS features also include a packing algorithm to ensure your products are packed in the most efficient and cost-effective combination of boxes for each quote. 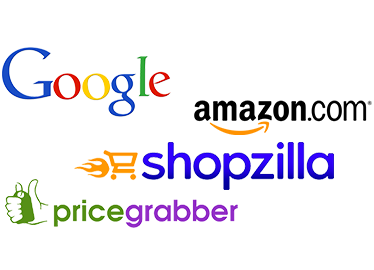 Extend your product reach by leveraging comparison shopping engines such as Google Shopping, Shopzilla.com, Shopping.com, and Pricegrabber.com. Web Cube also enables you to generate product feeds for Amazon to create more exposure and awareness for your product line. 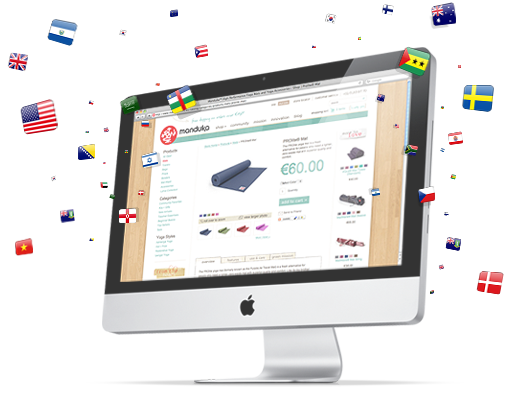 Web Cube’s internationalization tools empower you to grow your brand internationally with rapid deployment of international sites. Web Cube quickly converts one currency to multiple international currencies and enables you to assign multiple price levels per product SKU based on international currencies. Web Cube’s internationalization tools also make language translation quick and easy so that your customers can view content in their native language. With Web Cube’s Sites Framework, you can manage and control all international versions of your site from one integrated platform. Reach new customers and drive sales with Web Cube’s advanced marketing features and SEO friendly platform. Run all the great marketing promotions that every digital marketer craves, from Buy One Get One to Percentage Discounts, Shipping Promotions, and more. Turn your social following into purchasing customers and increase the size of your network. Web Cube’s deep social media integration includes Buy on Facebook, integrated social sharing, Login with Facebook, Pinterest integration, embedded YouTube Videos in product detail pages, social bookmarking, email to a friend functionality, and more. Capture your customers’ attention before they drop off your conversions. Every order state change can be set up to trigger a corresponding customizable follow up email in Web Cube. Additionally, you can set up automated five day and two week follow up emails to maximize customer outreach, satisfaction, and retention. Web Cube was developed with a focus on marketing and SEO. With optimized code structure, search engine friendly URLs, and easy to update title and meta tags, Web Cube makes it easier to optimize your website for organic search.